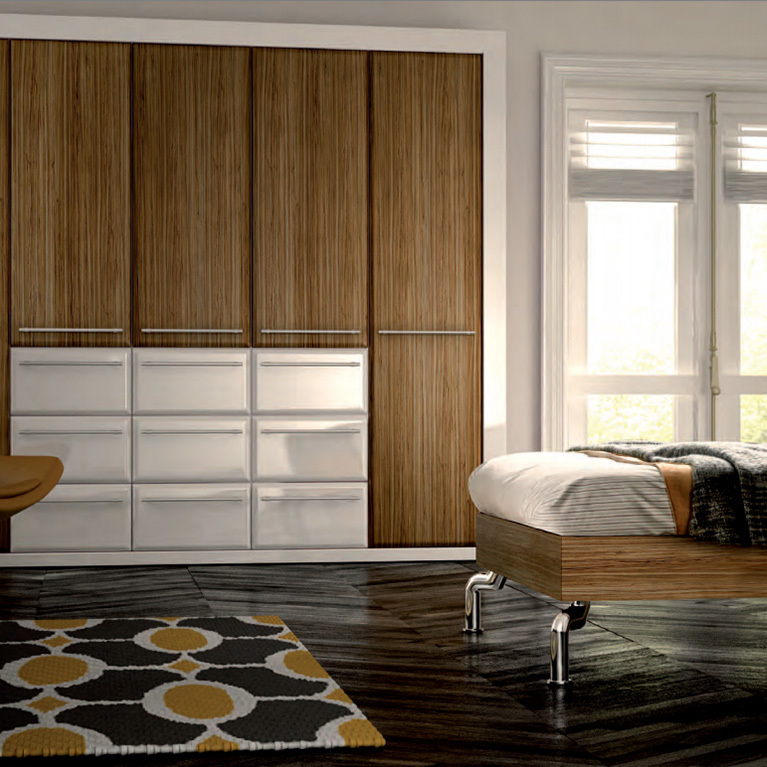 Tactile horizontal textures are the design signature of this very modern and luxurious bedroom. 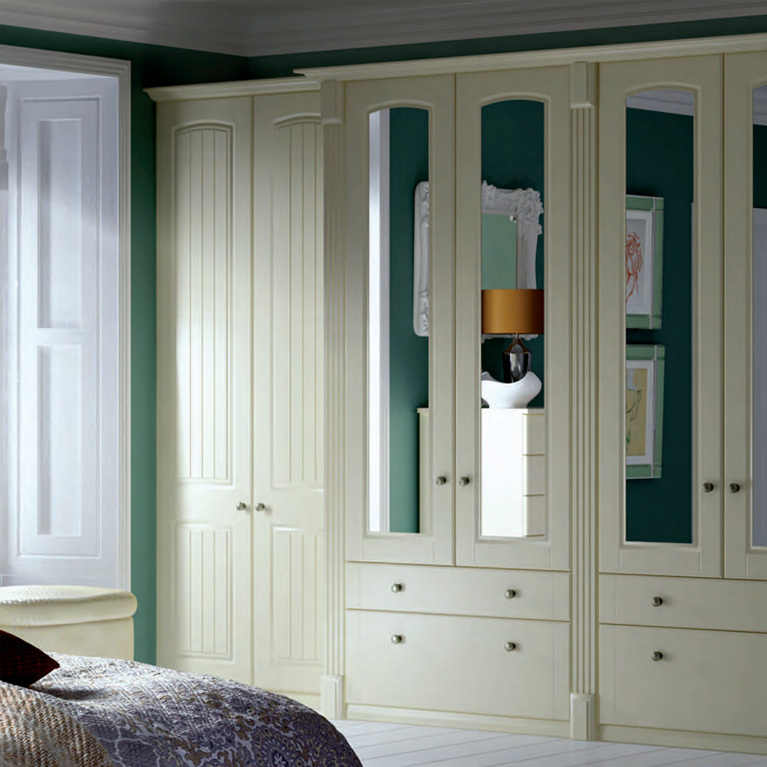 The elegant oak surroundings contrast magnificently against brilliant white furnishings to make this bedroom a traditional yet modern classic. 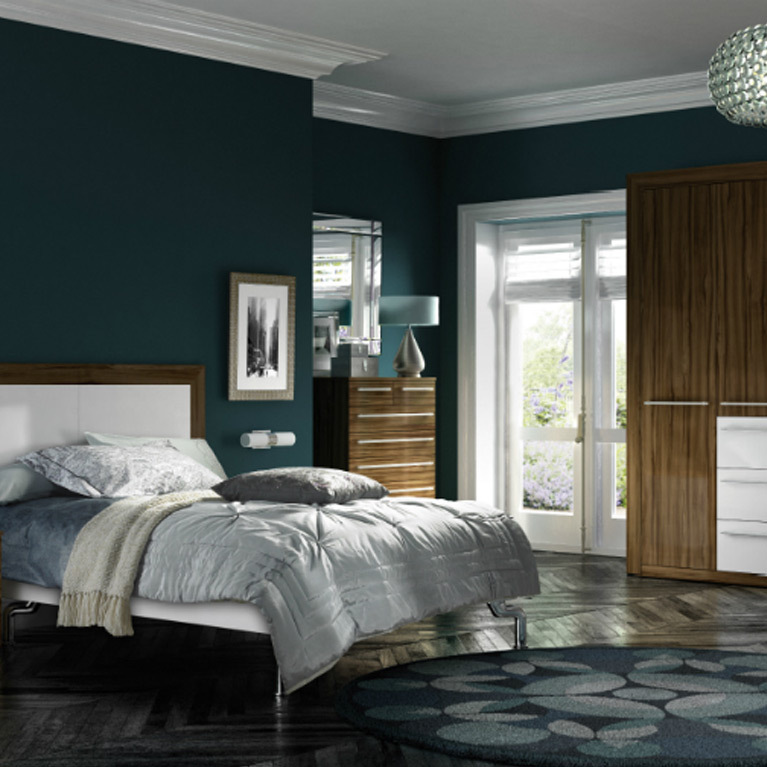 This is emphasised perfectly by the contrast between the tall oak wardrobe doors and the driftwood look and feel of the bedside chest. The beautiful Damara headboard and bed panelling both lend a truly exotic ﬂavour to an otherwise conventional bedroom design. Not meant for those who like to play it safe, this design is perfect for those who like things to be a little louder than your average bedroom attire. 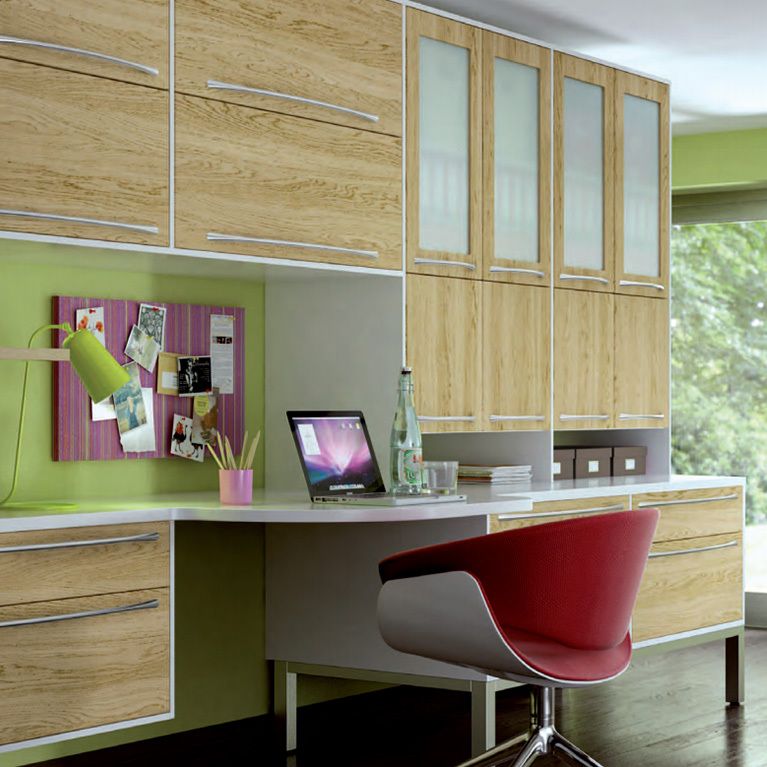 Surround yourself in luxury and create a small haven for you to retreat after a long day at work! 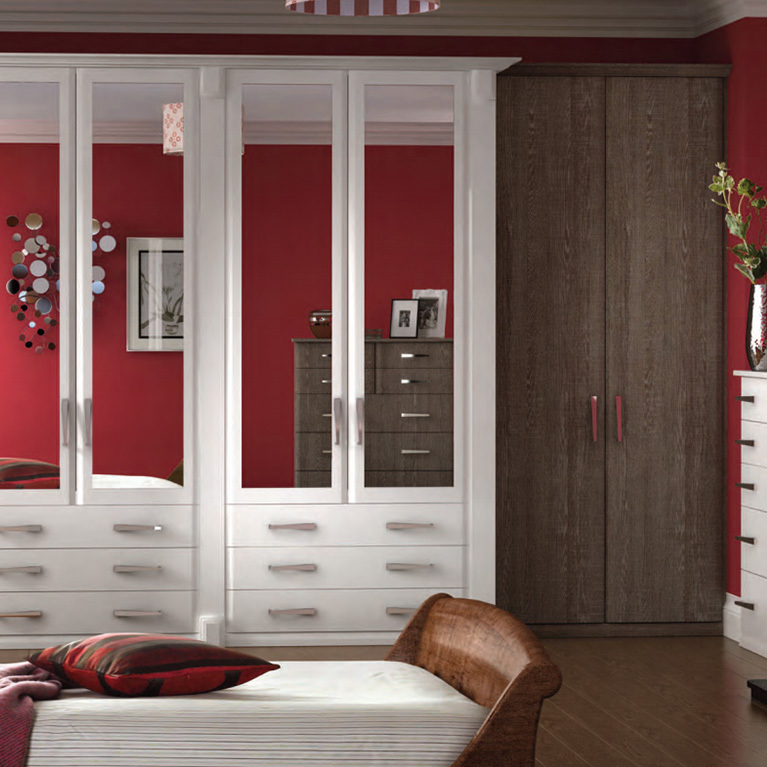 If you’re looking for a luxurious and modern fitted bedroom in and around Manchester, the Premier Bedroom – Oak & White is the ideal choice for you. Contact us today for a quote or more information, our expert team of specialists will be more than happy to help. 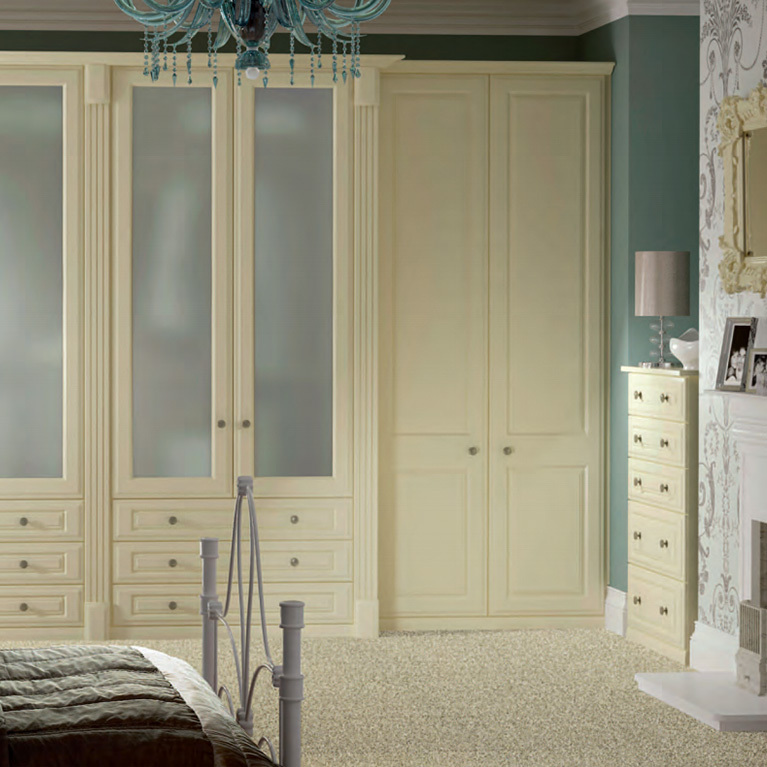 With years’ worth of experience fitting bedrooms in the North West we can guarantee you’ll be happy with our products and the final result!